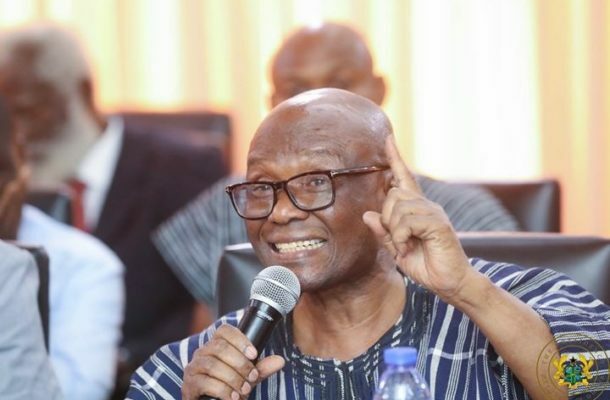 The Nandom Royal Family are in disagreement over the purported selection of the National Chairman of the Convention People’s Party (CPP), Professor Edmund Delle as the paramount Chief of the Nandom Traditional Area. On Thursday, a statement issued by one Alhaji Yussif Botug Benni Chiir, who introduced himself as the head of the royal family of Nandom Traditional Area, announced Professor Edmund Delle as the new Nandom Naa. “Professor Delle will assume the skin name of NAA PROFESSOR EDMUND NMINYEM DELLE CHIIR VIII. The process is already underway for a public enskinment of Naa Professor Edmund Delle Chiir VIII. Details of the enskinment will be announced in due course,” the statement said. However, this statement is being challenged by the Head of the Royal family. In another statement issued Friday, one Deri Ziem Chemgoh, who also introduced himself as family head, said the purported process to select a successor for the late Naa Dr. Charles Puoure Puobe Imoru Chiir VII, is false. “In this regard, the purported enskinment of Adjunct Prof. Edmund N. DeIle asNandom Naa should be disregarded. It is simply an attempt to cause mayhem and to disunite the Royal Family and the good people of Nandom. “We also wish to place on record that the alleged Head of Family, Alhaji Issifu Botug Benni Chiir, is unknown to the Royal Family. The only recognized Regeant/Head of Family is Deri Ziem Chemogoh,” the statement added.